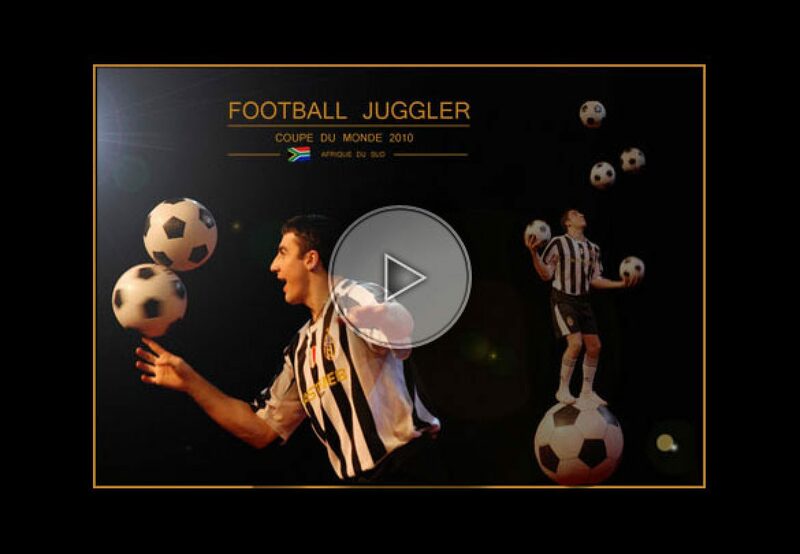 A few months only from the soccer world cup in South Africa, we thought that it was necessary to present you a unique football juggler. Many events worldwide will soon be about soccer and it is undoubtedly the performer to have to surprise your guests. Jora juggles with football balls like no one else does. He pushes the difficulty even further by juggling while standing on top of a gigantic football ball!